On Wednesday March 14, 2018, the Local Government Committee of the Colorado State House voted 10 to 3 against the Right to Rest Act – a law that would protect the right to sleep, sit, cover oneself, share food, or sleep in one’s own vehicle. After four years of bringing the Right to Rest Act to the Colorado State Legislature and having our rights – our humanity – voted down, our resolve, our movement, and our power just grows. We know this is a long-haul struggle. History has shown us that in order to succeed in overcoming discriminatory practices, communities must stand strong together, and the fight takes years. 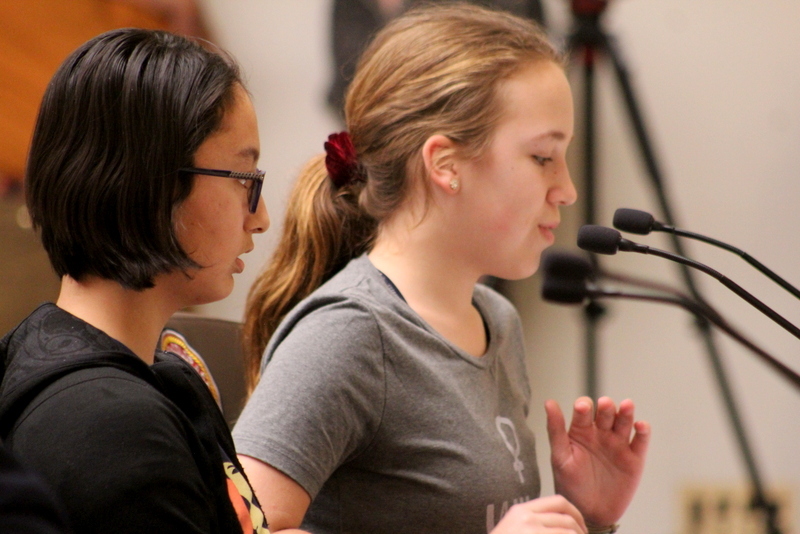 This vote against humanity came at the end of a nine-hour hearing that included testimony from more than 60 people supporting the Right to Rest and only six people who testified in opposition. Person after person supporting the right to rest testified to being told their presence is illegal, being arrested, having their belongings stolen and constantly being forced by police to “move along.” Lawyers, academics, youth, business owners, service providers, and faith leaders each spoke to the unconstitutional, dehumanizing and moral impacts of criminalizing existence. Also notably Denver Councilman Lopez testified as well as Erik Solivan, former director of the Office of HOPE under the mayor who was sent last year to testify against the bill and this year testified in support. 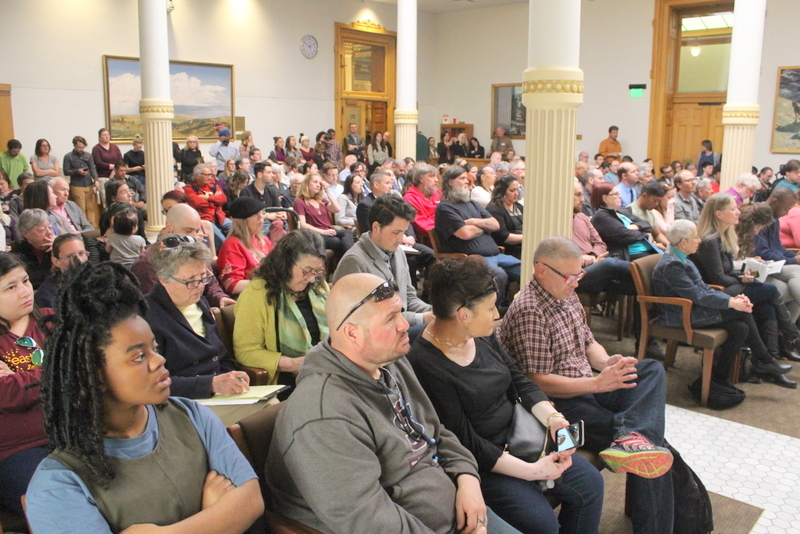 And person after person testified to how this bill does not create “special rights” for homeless people, but protects the rights of all people to stand, sit, lie down, or cover oneself – to exist – in public spaces. The Right to Rest Act, introduced through the Western Regional Advocacy Project in Colorado, California, and Oregon, aims to end all laws and practices to push certain “unwanted” community members out of public space. Our country has a long history of racist, classist laws – Jim Crow, Anti-Okie laws, Sundown laws, and others – and today’s anti-homeless ordinances are just another example. The bill was carried for the fourth year in a row by its sponsors Representatives Joe Salazar (D-31, Thornton) and Jovan Melton (D-41, Aurora). Speaker of the House Crisanta Duran (D-5, central Denver), again assigned it to the House Local Government Committee, despite our strong efforts to have it assigned to the House Judiciary Committee, which would be the appropriate committee since it is the one that deals with civil rights and where it would have a much greater chance of passing. Notably, one committee member, Representative Donald Valdez (D-62, south central CO), reversed his yes vote from last year to vote no on the bill this year, giving little clues as to why. The other new no vote this year came from Dan Pabón (D-4, northwest Denver), who was appointed at the last minute to fill the vacancy left by the recent expulsion of former representative and committee chair Steve Lebsock. Pabón voted against the bill even though Lebsock had been a strong supporter in the past, stating that while he saw the moral and religious imperative for the bill, he believed it didn’t work on legal grounds, even though he had just witnessed countless lawyers and other legal experts testify to the legal viability of the bill.Bill advocates had petitioned Duran to fill Lebsock’s seat with someone favorable to the bill, but this was not honored. Three representatives voted yes for the Right to Rest this year. Their votes and words of support for a bill that simply asks we be allowed to be in public are a sign of hope and humanity! We thank Representatives Jonathan Singer (D-11, Boulder Co.), James Coleman (D-7, northeast Denver), and Tony Exum (D-17, Colorado Springs)! Representative and committee chairman Singer recognized that the people who have come to these hearings year after year deserved to finally have the full House body take up this issue and have their voices heard. It is our House of Representatives too! Furthermore, this bill would not exist without the leadership and commitment of Representatives Salazar and Melton sponsoring the Right to Rest four years in a row, standing strong against internal party division, and standing up for what is right! Our work does not end. As homelessness continues to rise, with even more housing budget cuts coming our way, and while criminalization does absolutely nothing to actually end homelessness, we will remain right here, growing in numbers, demanding justice. We have no place left to go. We have no other choice but to fight for our rights to survive. Our solidarity with each other and strength against the fight against our humanity only grows. Our struggle continues right now and onward in the city councils, in the federal and local courts, back at the state Capitol next year, and on the streets every day! ← Right to Rest Act Has a Date!! March 14th. Call to Action! !